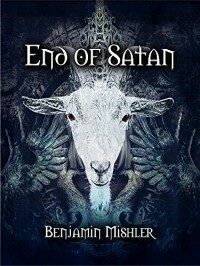 The End of Satan by Benjamin Mishler - Passionate about Books! This has got to be the strangest Christian end times novel I have ever read. I gave it 2 stars only because it had some good biblical truths to it and the plan of salvation was laid out, otherwise the rest of it was just weird, strange, and not biblical at all in my opinion. And for those who care enough to want to know: there is bad language, gore and torture in this story...enough so I wouldn't even put it in the "Christian" genre.